Robert Wright’s 2009 book The Evolution of God is fascinating for what it contributes to our picture of religion’s history. Even more, it is fascinating for the kind of history it represents and the picture of the future it puts forward—each consistent with culturally mature perspective. And it is fascinating, too, for where it falls short. Robert Wright brings an evolutionary perspective to religion’s story. In his words, “As natural selection ground along, creating more and more intelligent forms of life, it eventually created a form of life so intelligent as to give birth to a second creative process, cultural evolution.” In his view, part of what evolves with cultural evolution is how we view the sacred. Thinking of cultural in evolutionary terms is itself radical. Thinking of religion in this way, a realm of experience that, at least if we are believers, we are likely to regard as timeless and absolute, is even more so. As far as the future, Wright argues for two related conclusions. He predicts that we will successful transcend the animosities that in times past have set the adherents of differing religious views at odds. 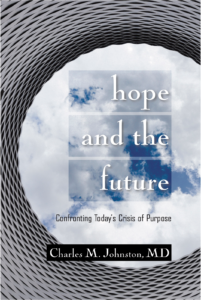 He proposes that such change follows as a “a natural culmination of the expansion of social organization.” He also predicts the healing of a more ultimate schism, “that between people who think there is in some sense s divine source of meaning, a higher purpose in the universe, and those who think there isn’t,” between the beliefs of religion and science. 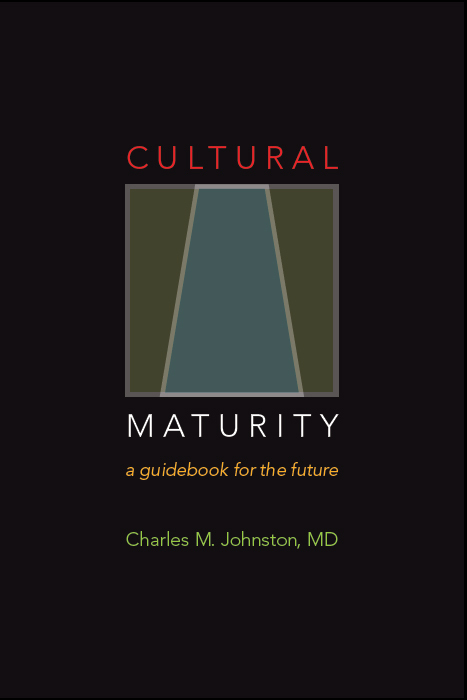 Developmental perspective and each of these two predictions are supported by the concept of Cultural Maturity. But the concept also challenges Wright. It proposes that more than the arguments he puts forward are needed for his conclusions to hold up. We need not just an evolutionary frame, but also the specific inclusion of a notion such as Cultural Maturity for his predictions to really make sense. Indeed, we need more than the kind of evolutionary frame Wright applies to get the more general historical picture he describes. In fairness to Wright, the greater part of the book is descriptive rather than predictive, and beautifully so—a careful chronicling of the progression from the animistic world of our early hunter gatherer ancestors, to the polytheistic beliefs of more agricultural societies, to the later rise of monotheism and its progression into modern times. Only with later chapters does he turn to the future. But being that his predictions provide much of his justification in writing the book, scrutiny is warranted. Wright rightly argues that if we can’t get beyond the religious animosities of time past, the future will present real problems. The difficulties arise when he turns to just how such change might happen. As mechanisms, he proposes globalization along with a vaguely described expansion over time of “moral truth.” He accurately observes that when “people see themselves in a zero-sum relationship with other people—see their fortunes as inversely correlated with the fortunes of other people, see the dynamic as win/lose—they tend to find a scriptural basis for intolerance or belligerence…” He then describes how “Globalization for all its dislocation., entails lots of zero-sumness.” So just for pragmatic reasons, we should find ways to get along. As an argument of that “expansion of moral truth,” Wright described how the gradually enlarging circumference of social organization through time—from tribe, to kingdom, to nation state—has resulted in reconciliation of differences with peoples we before have made enemies. But he misses that the task today is fundamentally different than that in times past. Always before we’ve replaced a more local enemy with a more distant version. The future requires that we leave behind the psychological need for enemies altogether. At the same time he makes the task even more difficult hurdle than it would be if such past behavior were a function only of primitiveness or cultural learning. He proposes that the tendency of the moral imagination to shrink in the presence of enemies is built into our brains by natural selection.” The concept of Cultural agrees that it comes with our human natures, but it also describes how the potential to get beyond it does as well. Without that built in developmental potential, it is hard to imagine success. But what today asks of us has not happened before. And globalization by itself is as likely to produce new conflict as mutual understanding. Rememeber Robert Front’s counsel that “good fences make good neighbors.” Not just globalization, but something akin to Cultural Maturity, is needed if we are to “bridge” conflicting religious beliefs. In this we see the depths of today’s challenge, but also what makes that challenge rich and profound—ultimately defining of meaning in our time. As for bridging “religion and science,” Wright’s contribution is even more accurately prediction and description rather than explanation. Certainly globalization by itself does nothing that would produce this result. In the end, Wright’s evolutionary picture, however beautifully described, also needs more than we see. The lack again lies with explanation. Why do we see this particular progression, with these particular, markedly different realities? At the very least, why is it not just a gradual progression, but rather one that makes such leaps in belief? For the most part, he doesn’t explain, only describes—as is common with the chronicling of history. Where later in the book he attempts explanation, he draws on the concept of the “meme,” the popular notion that beliefs, like genes, compete, with the best winning out. But this explanation helps us little, indeed only distracts. We are left with questions of why the different memes take such radically difference forms, and in particular, these specific forms. Creative Systems Theory Patterning in Time concepts provide answers to both questions. We need something like them if our “evolutionary” picture is to in fact be that, anything more than simple observation with an evolutionary label. In conclusion—a beautifully written book that makes sensitive observation and reaches conclusions consistent with the concept of Cultural Maturity. But without something like the concept of Cultural Maturity, and ultimately like the expanded developmental/evolutionary picture we find with Creative Systems Theory, it becomes claim without explanation. It also becomes much less helpful in supporting the kinds of outcomes that Wright wrote the book to help bring about.